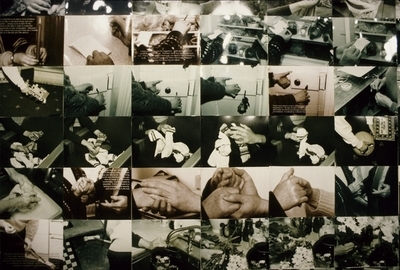 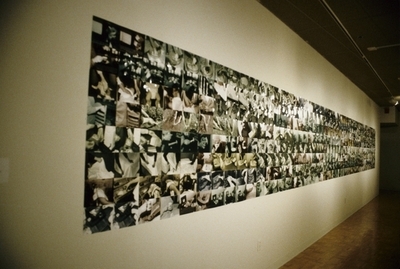 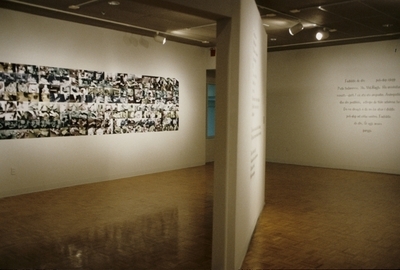 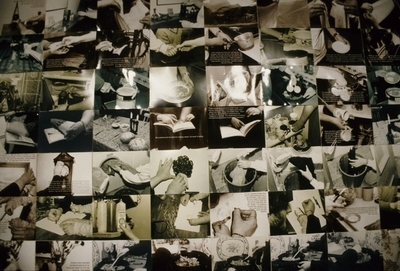 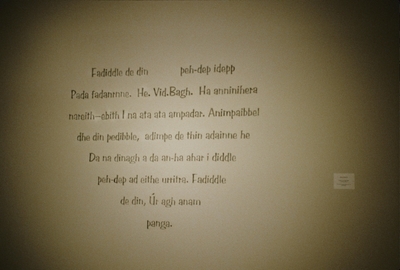 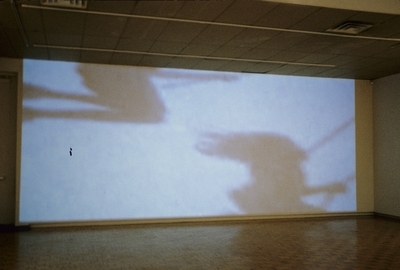 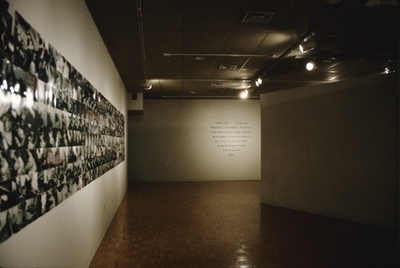 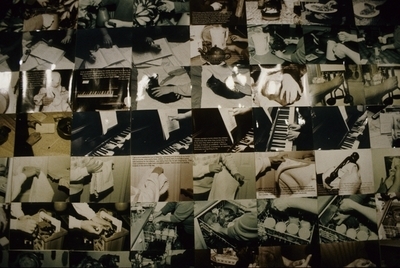 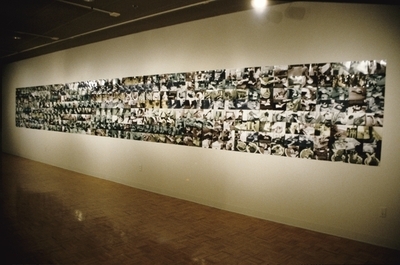 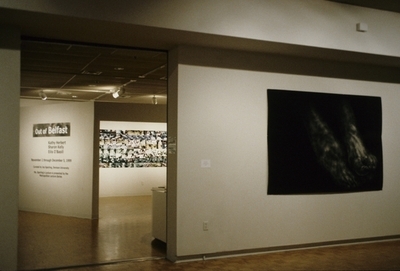 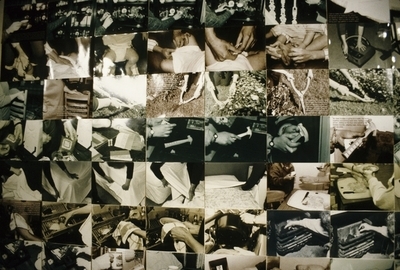 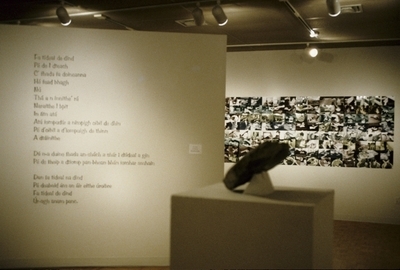 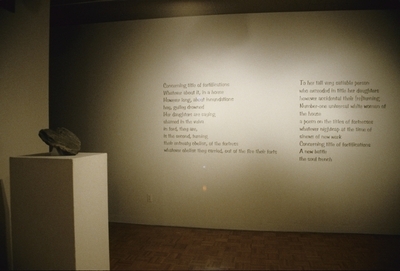 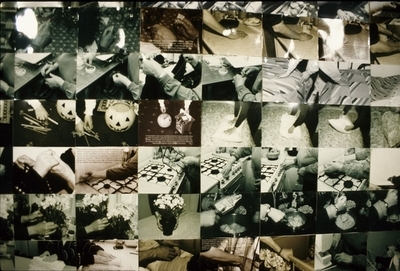 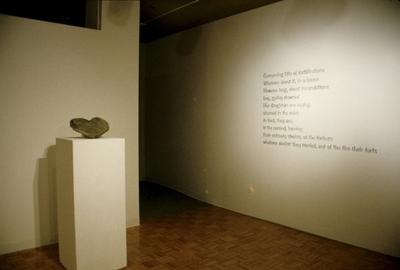 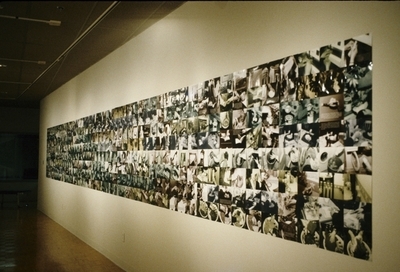 The exhibition Out of Belfast was held at the Robert and Elaine Stein Galleries at Wright State University from November 12 through December 5, 1999. 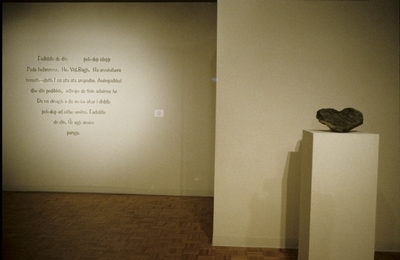 The show featured the work of Kathy Herbert, Sharon Kelly, and Eilis O'Baoill. 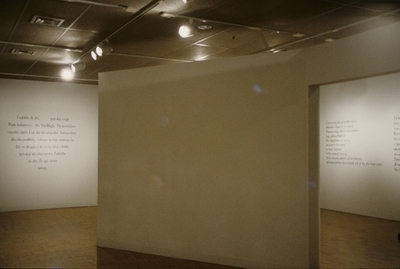 The traveling exhibition was organized by Denison University, Granville, Ohio and funded by the Elizabeth Firestone Graham Foundation. 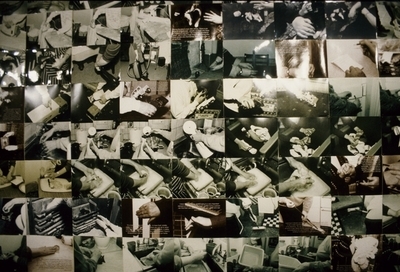 These images show the final installation of the display.